Once upon a time, I was a Mary Kay Lady. Not for very long, and I was terrible at it. From a distance of fifteen years or so, I can recognize that I was a very different personality than my up-line. I can also recognize that I was not ready to give Mary Kay the time and energy it needed. I didn’t even know that my business needed that type of time and energy. At the time, it seemed like a great idea, because every woman I knew wore make-up. I’m not a Mary Kay Lady anymore, but I can still say that most women I know wear make-up. Some wear it every day. Many are like me. We wear it for special occasions like date night, teaching a class, or going to church. It’s part of putting our best foot forward and acknowledging that a certain situation or event is special. Make-up is a common part of many women’s lives. 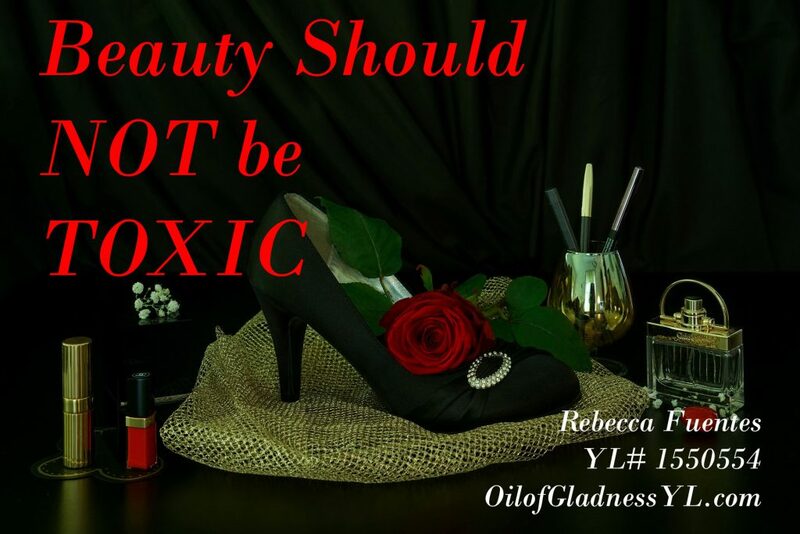 Lack of regulation has allowed potentially dangerous chemicals to stay in our cosmetics. Unfortunately, cosmetics are a poorly-regulated industry. A news report that cosmetics from the chain Justice–aimed at preteen girls–contained high levels of lead and asbestos caused many moms to start looking at ingredients. Some organizations have been giving cosmetics the hairy eyeball for quite some time. They’ve stacked up some alarming research. According to an ABC News article from 2016, the last regulations put in place on the cosmetics industry were over 80 years ago. There have been no new regulations since my grandmother was a young teen. In that time, we’ve made leaps and bounds in safety and environmental regulations for the energy industry, cars, and food additives. (Seriously, if you asked your car dealership about the safety features on a new vehicle, and they said they were up with 1938 standards, you’d make a quick u-turn out of there!) The only reason that the research and testing hasn’t been done is because no one has been pushing for it until recently. The Story of Stuff has put together an excellent video covering how we got here. The Campaign for Safe Cosmetics lists ten chemicals/chemical categories of concern in cosmetics. These include benzophenone and related compounds, butylated compounds, carbon black, ethanolamine compounds, ethoxylated ingredients, formaldehyde, fragrance, homosalate, and heavy metals (including lead). While the specific effects and concerns about each group can be found at the link, collectively, these chemicals and compounds can cause endocrine system disruption, reproductive toxicity, organ toxicity, and cancer, along with a host of other side effect that are less severe, but no more desired. Our endocrine system controls all the hormones that, in turn, signal our body to do what it’s supposed to. We often think of reproductive systems whenever someone says hormones, but hormones regulate weight gain and loss, hunger and satiety, and focus and moods. They even trigger our fight or flight response. When they’re out of whack, they can lead to issues with anxiety, depression, and panic. We do not want to disrupt our endocrine system! The reproductive system is set apart because some of the listed chemicals have specific negative effects on our reproductive system. In fact, IVF clinics–whose entire business is fertility–warn about exposure to the many chemical toxins in our environment. 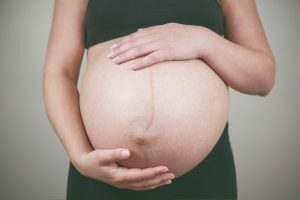 Internationally, fertility clinics warn prospective mothers to avoid chemicals in cosmetics and other personal care products because they interfere with fertility and carrying a healthy baby to term. Even my GP warned me to avoid as many sources of toxic chemicals as possible for my current pregnancy. Several of the chemicals found in conventional cosmetics can affect fertility. Recent US headlines have made much of declining fertility rates, pointing out such factors as high cost of living, career women, poor or nonexistent maternity leave, and onerous student loans. These are reasons people choose to delay or avoid children, but many people who want to be pregnant cannot conceive. Others conceive, but cannot carry the pregnancy to term. When the fertility business itself is warning us about toxins, perhaps we should sit up and take notice. While toxins in cosmetics affect women more than men, many of these chemicals are also found in personal care products common to both sexes, and may be a cause of dropping sperm counts in western countries. It is argued that the amount of these chemicals in cosmetics is so small, it will not have a significant effect on the body. However, while the dose is small, it is also daily for many women and starts young. Girls often start wearing nail polish as babies or toddlers, and lip gloss by 6. Many are wearing at least some make-up by middle school. With no studies on how chronic exposure over decades (at any level) affects humans, the long term, and possibly generational, effects of unregulated ingredients in cosmetics leave a massive, worrisome question mark. If you’re like me, confronting this information can cause worry and guilt over past use. After all, I used to put on a full face of make up daily for over a decade. I can’t change that. Maybe I can be glad for those “lazy days” when I skipped the make-up. Mostly, I remember that I did my best with what I knew. Now that I know better, I can do better. Companies are listening to customers, even if regulations haven’t changed, and better, safer make-up is available. I can choose safe products. My daughters can start with make-up that is free of toxic ingredients. My nieces will have access to make-up that won’t harm them. I was delighted when Young Living came out with their Savvy Minerals line a year ago, because I knew that my daughters and I are safe with their products. They contain none of the questionable ingredients listed above, nor any other petrochemicals. It’s been encouraging to see them expand their line and listen to feedback to improve the products. They’ve even added a Savvy Mineral Starter Kit, because we know that not everyone wants to start with oils. Some of us want to ditch our old products and switch to healthier, safer options, right now! The world of cosmetics regulation is eighty years behind schedule. We don’t have to wait for them. We have the information we need to make good choices for ourselves and our daughters. Even better, we have healthy, safe options to choose from. They didn’t exist when we were starting our make-up journeys. We can make up for it now. Next Post Manic Monday: It’s Summer, Why Don’t I Feel Relaxed?